Local author Jackie Hunter penned observations of nature, following a journaling class led by Stacy Hawkins Adams at Lewis Ginter. As winter lingers, boredom builds. Journaling offers a creative outlet. It invites you to pause and ponder about your world. Through reflection, journaling also enlightens you about your life journey and yourself. There are countless journaling formats, but three basic approaches: text only, drawings only or a combination. No method is wrong. It is right if it works for you. Stacy Hawkins Adams, a multi-published author and Richmond journalist, began recording self-reflections through “Dear Diary” entries at age 10 and has journaled actively for the past 25 years. She now hosts journaling workshops to share the experience with others. 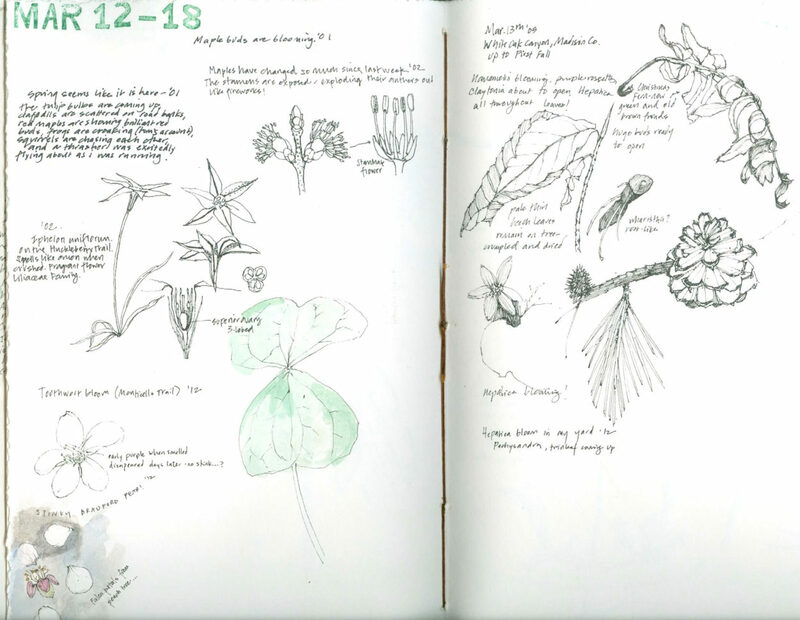 Lara Call Gastinger, an internationally awarded botanical artist from Charlottesville, focuses on nature, native plants and artistic expression in her journaling workshops. One of her favorite formats is perpetual journaling, organized by date ranges. She adds quick sketches, observations and anecdotes to record weather, sounds and observations for corresponding time periods, year after year. “With multiple years’ entries on one page, it’s interesting to note changes over the years, like seasonal changes and when spring begins,” she said. Her perpetual journal holds 18 years of weekly comparisons. Lara Gastinger’s perpetual journaling provides at-a-glance memories for specific time periods, year after year. This story originally ran in the Richmond Times-Dispatch, February of 2019. 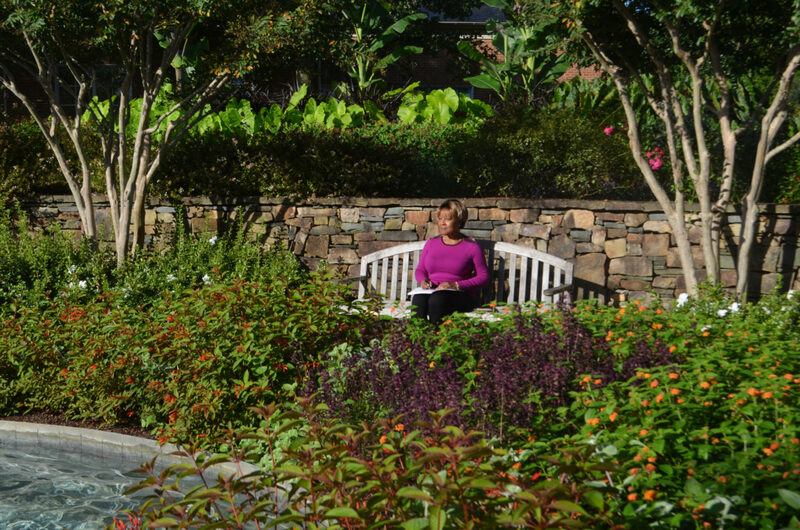 Take a class at Lewis Ginter!